Marriott International, Inc. announced that 2017 represented its most successful year for signing development contracts outside North America. Globally, at year end 2017, the company operated or franchised more than 6,500 hotels and over 1.25 million rooms, with a third of the rooms located outside North America. Marriott International and its franchisees opened more than 470 hotels with over 76,000 rooms around the world during the year, amplifying the company’s brand recognition among guests, owners and franchisees. In 2017, the company signed more than 750 contracts for new hotels representing nearly 125,000 rooms under long‐term management and franchise agreements. Its global pipeline grew to a record 460,000 rooms, with over half located outside of North America. Outside of North America, Marriott opened over 140 hotels and approximately 30,000 rooms in 2017. In the Asia Pacific market alone, the company opened 18,000 rooms and signed 31,000 rooms in 2017. Today, the Asia Pacific market represents 15 percent of our global rooms but nearly a third of the company’s pipeline. Greater China alone represents 8 percent of the company’s global rooms and 19 percent of the year-end pipeline. In Europe, Marriott opened 5,800 rooms and signed 12,000 rooms in 2017. Hotels in Europe represent 9 percent of Marriott’s global room distribution. In North America, there were 329 hotel openings in 2017 and 482 contracts signed. Interest also grew in the Caribbean and Latin American region with 19 hotel openings with a record 37 signed deals in 2017. In the Middle East and Africa region, Marriott opened 12 hotels and ended the year with 30 signed contracts. 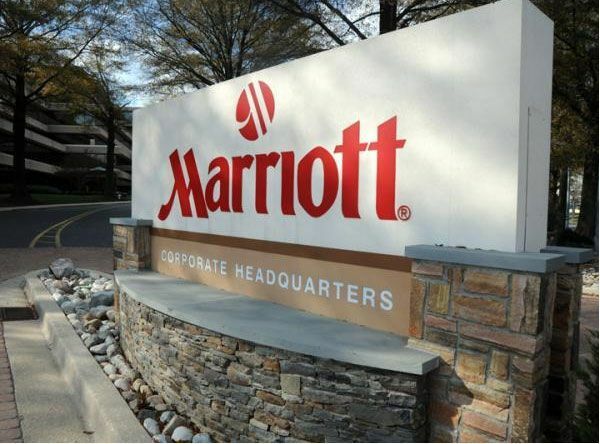 In 2017, Marriott seized on the growing demand for select service hotels worldwide, signing a record 578 contracts for its 11 brands such as Courtyard, Moxy, and AC. Outside of North America, select service signings totaled 158 contracts with particular strength in the Asia Pacific region. In North America alone, the company opened 270 select service hotels and signed 420 select service agreements. In 2017, Marriott continued its emphasis on driving economic value, not just room additions. Of the company’s room signings, nearly 80 percent were in the industry’s three highest-quality tiers – luxury, upper upscale and upscale – which drive significant revenue per available room and fee revenue. At year end, Marriott’s seven luxury brands were represented by 469 open hotels. The company’s luxury hotel pipeline totaled more than 200 projects of which nearly half were under conversion or construction.